PROVIDE US WITH YOUR VISION - AND WE WILL PROVIDE YOU THE EXPERIENCE! to common goals, open communication and accountability. Programs and activities can be tailored or developed to suit your group’s needs. 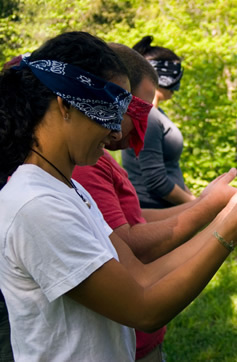 Below are just two descriptions of the many team building activities we offer. Regatta sailing is an exhilarating team challenge activity. Designed for two or more groups, Coast Guard certified instructors will teach participants the fundamentals of sailing at an accelerated pace during the first part of the sail. 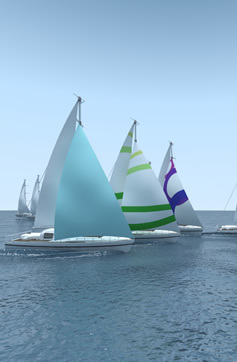 Then the teams will race each other in the grand sporting tradition of competitive sailing. As each individual plays an integral part in ensuring that their vessel sails swiftly, this activity is an excellent team building exercise. Put on your driving cap, goggles and scarf, and jump into this whimsical team building exercise. Guests will drive vintage automobiles, teams will be provided with maps and questions for a self-guided scavenger hunt. Along the route various points are designated on the map and specific questions will be asked about each scenic location. When we arrive at our luncheon site, the team with the most correct answers wins the rally. 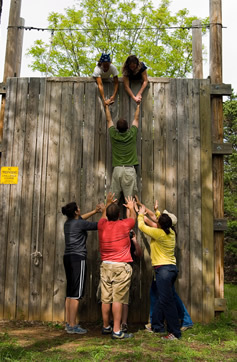 We can always customize a team building experience to your specifications. The list below provides some of the most popular activities available.